Cleveland is known for having great pitching talent throughout major league baseball history. However, when you ask people who the best pitchers are, you get a list of the usual suspects: Bob Feller, Lenny Barker, Addie Joss, Cy Young, Early Wynn, CC Sabathia, Gaylord Perry, Satchel Paige, etc. Very few people, if anybody, would mention the first Cleveland ball player to throw a no-hitter, Hugh “One Arm” Daily. Daily was born in Ireland in 1847, the son of a potato farmer. He lost his left hand and part of his forearm to a gun accident as a youngster, and quite possibly was the first amputee pitcher in the major leagues. He began his Major League career with the Buffalo Bisons on May 1, 1882. Considered a hard throwing right-hander, Daily made up for his physical limitations by catching the ball with is stump, protected in a leather-type covering. He also was able to hit one handed, hitting .157 for his six-year career. In addition to his pitching, the most notable thing about Daily was his demeanor. Like many pitchers of his day, “One Arm”, was crude, and highly competitive. He’d do anything to gain an advantage over an opponent. Edward Achorn, is his new book Fifty-Nine in ’84, describes an event during the 1883 season when Daily was pitching for the Blues, and ½ game behind the first place Providence Grays and their superstar pitcher “Old Hoss” Radbourn. “His [Daily’s] moment of revenge came when Charlie [Radbourn] strode to the plate in the fifth inning of the July 30 game, with Cleveland holding a narrow 3-2 edge. Staring at his nemesis, One Arm reared back, ran to the front of the pitcher’s box, and fired a fastball at Radbourn. The ball slammed into Charlie’s chest with horrific force, and he buckled over in pain. Though he almost never left a game he started, Rathbourn could not go on.” Daily ended up winning the game 7-2. His proven ill temper and surliness wasn’t just reserved for the opposing team either. Daily once punched his own catcher for throwing the ball too hard back to him after pitches. He often argued with umpires and fans, much to the delight of the crowd. His demeanor did not make him a popular player with his teammates or management, despite his success as a pitcher. As a result, during his six-year career, he played for six different ball clubs, including the 1883 Cleveland Blues of the National League, and the 1887 Cleveland Blues of the American Association. However, in his short time in the major leagues, he left his mark. Daily’s no hitter was thrown on September 13, 1883 for the Blues. 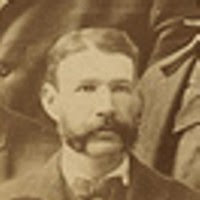 He led the Union Association in strikeouts in 1884 with an astonishing 483. He struck out 19 batters in one game, a record that was not surpassed until the 1980’s by Roger Clemens. He also is tied for most one-hitters in a season. Debuting at age 35, Daily got his start late in the game of base ball, and stopped playing after 1887. Not much is known about his whereabouts after his retirement. He was last known to be living in Baltimore in 1923. Although his career was short, he definitely was a top pitcher in the major Leagues for at least two seasons, and Cleveland’s first pitching superstar. Base Ball on the Western Reserve, Egan Jr.